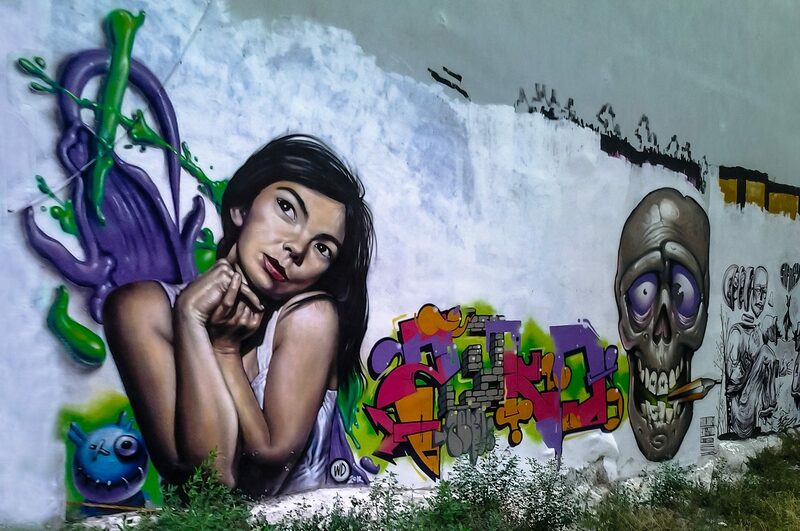 Though Thessaloniki is not known for its graffiti culture (like Athens for example), you might be surprised of the artworks you will come across. During the past 7 years more and more artists create impressive murals and transform the cityscape into a canvas. 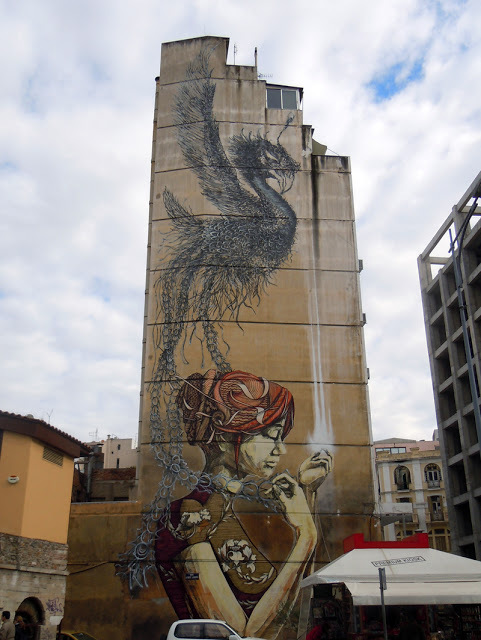 If you like the art of graffiti, follow this route with some interesting things to see in Thessaloniki. 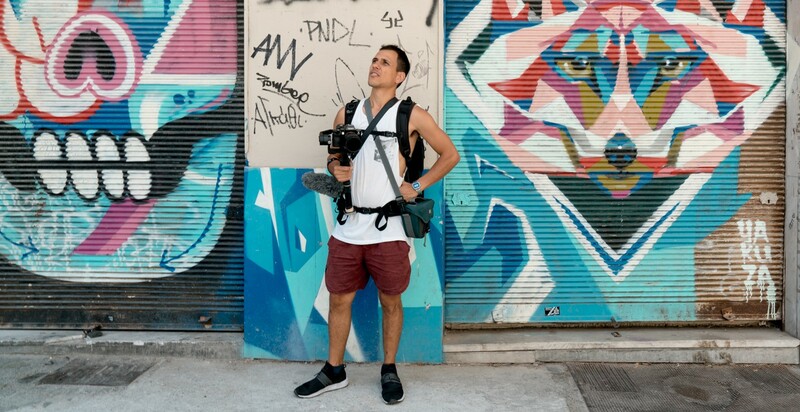 Begin your graffiti hunt from one of the most photographed murals at Ladadika. Standing on Tsimiski Street you will face the “Girl”, as it is known among the locals. This fairytale artwork was created during the 15th Biennale of Young Creators in 2011. 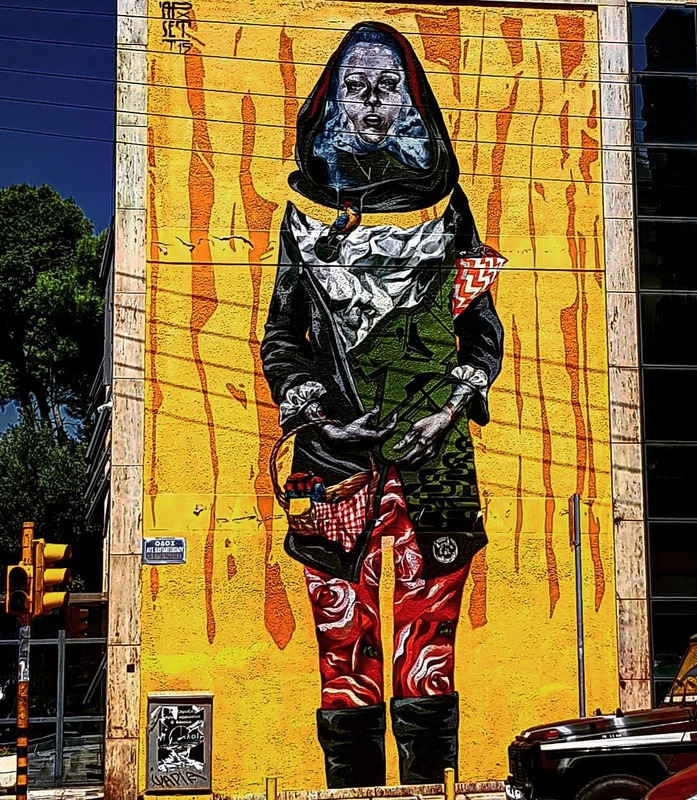 It is the result of a collaboration between the Chinese artist DAL and the South African Faith47. It was part of the project “Facing PublicArt Murals” and carries a message against the violence towards women. The artists worked together for a week in order to complete this fine piece of public art. Next stop of this walk is Navarinou St, where two previously ugly walls are now adorned by beautiful murals. The first is hidden in the small street of Apellou. Look up for a huge tree with a little strange creature hiding inside its trunk. The Greek artist SER created this mystical artwork in 2011. His work is characterized by “a curiously eclectic blend of old school graffiti, comic culture and pop surrealism”. The artwork took him a week, more than 60 spray cans and the help of his fellow artist ANE to finish. If you lower your eyes, you will see a lovely portrait of Bjork created in 2012 on the same wall. This graffiti work has been untouched ever since, thanks to the fence between the two buildings. It is a piece by Wild Drawing, an Indonesian artist based in Athens. The name of the artwork is “Pagan Poetry” and it portrays the Islandic singer in a distinctive pose of hers. With her hands beside her head, Bjork looks almost real in this special graffiti. Just on the other side of the apartments block, on Dimitriou Gounari St, is another work of SER. This time a larger one! It took 15 days, 70 spray cans, 30 liters of paint and the help of three more artists to finish. One of the things to see in Thessaloniki for sure! From Navarinou St you can walk to Agiou Dimitriou St and take your way up to the university dormitories. On the two buildings of the dorms you will face two huge murals. 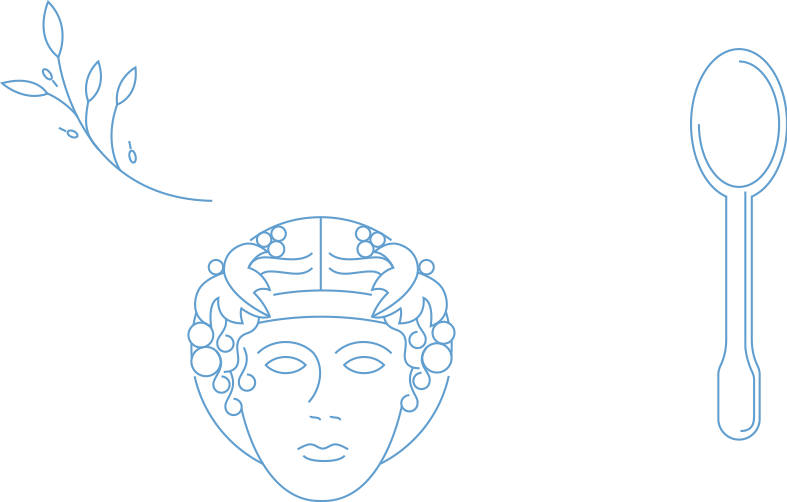 The one belongs to the famous Italian graffiti artist BLU. You can find BLU’s murals on buildings all over the world. He has also taken part in exhibitions at Lazarides Gallery and the Tate Modern Museum in London. 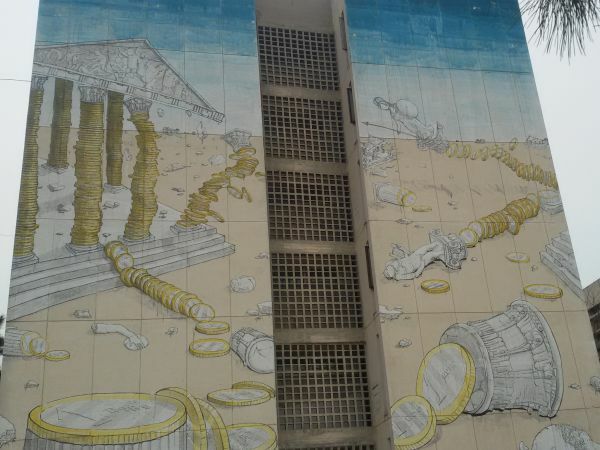 Inspired by the Greek economic crisis, he created this mural in 2011, for the Biennale of Young Creators. The artwork on the second building is from Same84, a Greek artist, who also took part in the 15th Biennale. A more colorful and futuristic graffiti, representative of Same84’s style. Same84, along with Apset, is also responsible for another mural that bursts with color. It adorns a wall of the local Hellenic Radio and Television branch’s building on Stratou Ave. 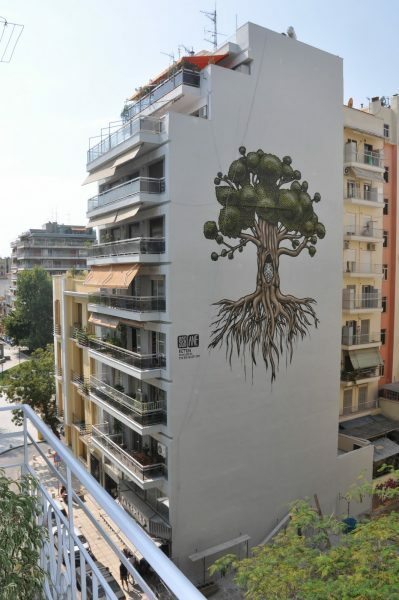 The mural was an initiative by Urbanact team, which promotes public art in Greece since 1998. Let your imagination free and you will see an urban version of the “Red Riding Hood” coming to life! And these are just some of the things to see in Thessaloniki. Walk around the city and discover even more interesting little corners and beautiful artworks. 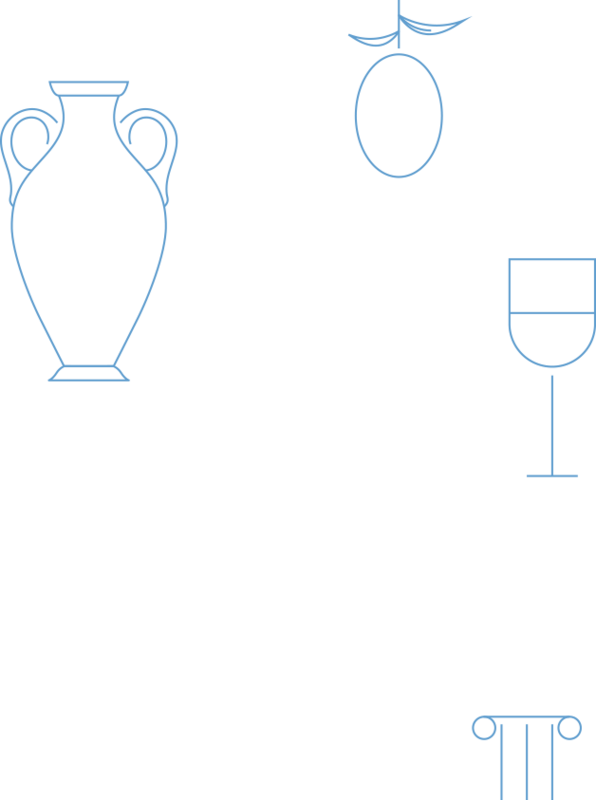 Get to know Thessaloniki from a different point of view!